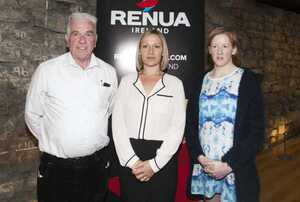 At the first-ever Renua think-in were from left: Fr Peter Mcverry, who spoke on homelessness, Renua leader Lucinda Creighton and corruption sleuth Dr Elaine Byrne, whose talk was entitled ‘democratic renewal’. Peter Mathews Goes Rogue: The Transcript Ming It On Mulholland Falls Staying In Tomorrow? 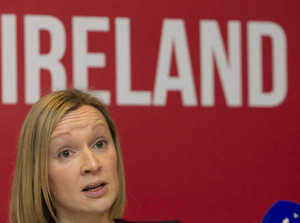 Posted in Misc and tagged Elaine Byrne, Lucinda Creighton, Renua at 4:08 pm on September 3, 2015 by Broadsheet. Explain how you came to this conclusion. The ongoing belief in and nostalgia for democracy is almost cute. Its over. The big guys run the show now and they don’t read Elaine. To be fair… he might be one of the few you’d put up with because of the work he does. 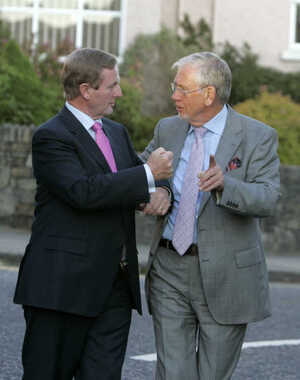 Even if you think that the RCC doing that work is an indication that the Irish state is failing horribly. A priest who does a lot of good work for the homeless. While the Catholic Church is morally bankrupt as an organisation, there are still a lot of clergy who stand up for the ideals of charity and kindness. Is it a lot of the clergy or is it a few ? Wow, you are like SO clever! Such a deep sentiment! ‘Snot about beauty norms. Its the sexism of mentioning the appearance of a woman where you wouldn’t mention how you felt about the looks of her male equivalent. But while we’re on the topic, you have low standards. Lucinda is down with the homeless – that should pick up a few votes! In fairness to Fr Mcverry, he is unwavering in his pro-life views. I might even go sofar as to say that the saving of life fully compensates for the Association of [some] Catholic Priests clap-trap that he’s got embroiled in. But then again, who am I to judge? The afterlife is so much better guys, compared to your current torment, but don’t go killin yerselves to get there early, that’s cheatin, so we made it a sin, we can’t have our cash cows beatin us at our own game, hah?! Here it is, guys, distilled and crystallised into one photo. Two former blueshirts and a priest. Not people I want to be stuck in a lift with. Its a shame to see Elaine Byrne at this.